MomsRising.org | Durham: Let's party to the polls! Durham: Let's party to the polls! Here in Durham we are again planning to celebrate voting in a FUN, NOISY way with our annual family-friendly early voting party and march to the polls! On Saturday, November 3rd, from 10am-12pm, MomsRising is joining forces with our friends at Kids Voting Durham to hold a party followed by a parade to the polls through downtown Durham to make sure that our voices are heard in the streets and the voting booths! There will be a voting-related story time in English and Spanish, a photo booth with props, a face-painter, a balloon artist, a magician, and the kids will even have a chance to cast their own vote with Kids Voting Durham. Then, decked out in proper parade attire (including pompoms, parade wands, bracelets , noise-makers, bubbles, and pinwheels! 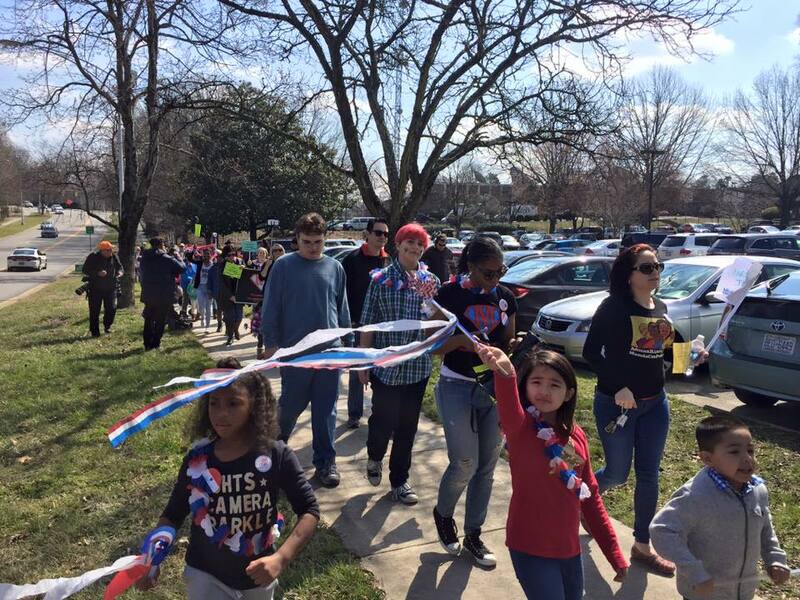 ), we will march through downtown to the early voting location at the Durham County Board of Elections (201 N. Roxboro St) where parents can cast their own ballots with their kids by their side. When: Saturday, November 3rd, 10:00 AM-12:30 PM. March to the polls will begin as 12. Where: Please note we have had a slight change of location! We were originally supposed to be at City Hall, but the event has moved to the Orange Street Mall in downtown Durham. We will end at the downtown early voting location at 201 N. Roxboro St., Durham (Durham Board of Elections). 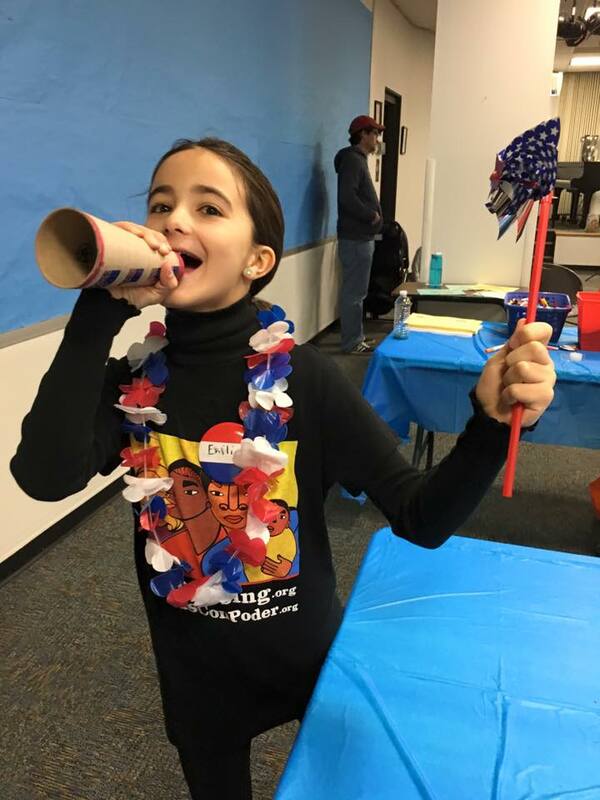 What: A family-focused, noise-making, parade wand-swinging voting celebration! We’ll gather at the Durham City Hall to hear a special story time in English and Spanish, choose parade gear, take selfies at our voting-themed photo booth, have some face painting and balloon-twisting, and more. Then we will start waving our pom-poms and making some noise as we march through downtown Durham to the early voting location at 201 N. Roxboro St. where parents who are eligible can cast their vote. We will be offering some noise makers, but feel free to let the kids bring their own instruments to play as well!